This trout took us on a long run! It's been a complete transformation from the incessant rain prior to Christmas. The land has dried up considerably and the river levels on the plains have dropped dramatically. 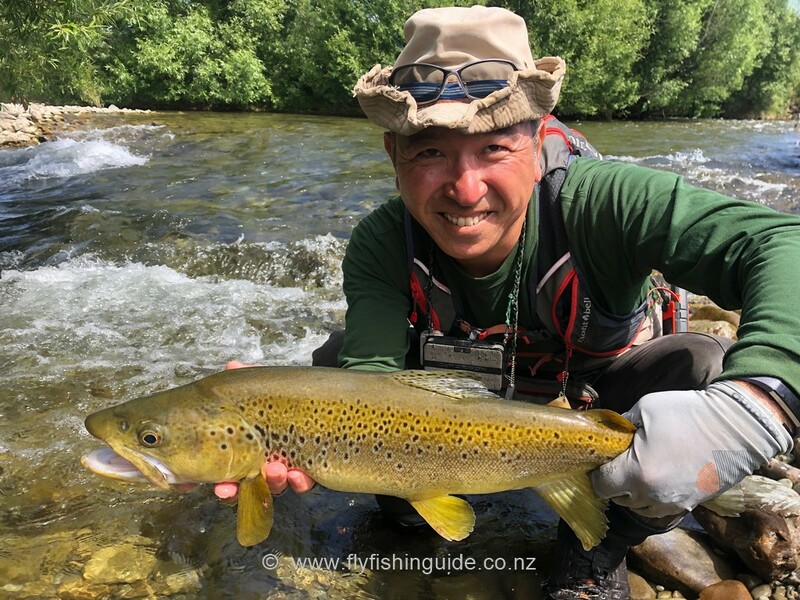 The hot weather is far from ideal for trout fishing unless you are fishing in colder spring or mountain fed waters. That said, we recently witnessed an incredible event. 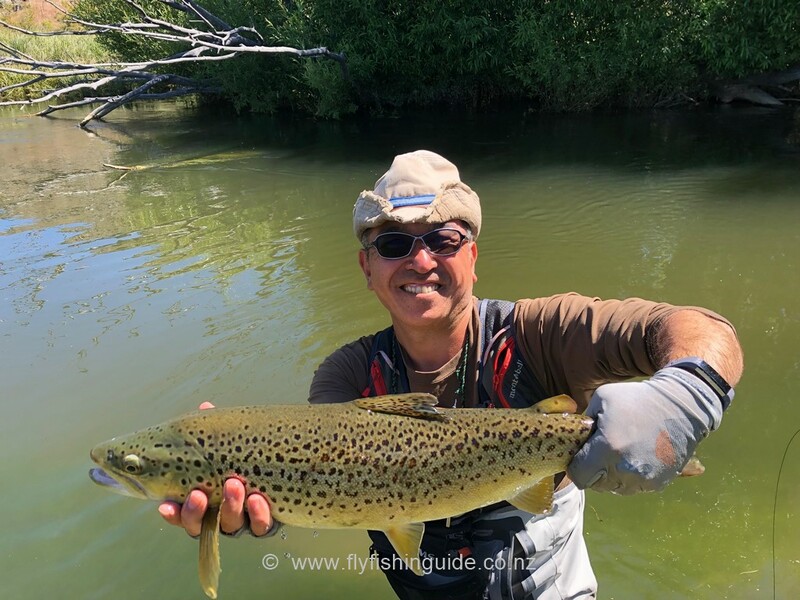 The day started off very warm and muggy and unlikely to produce any kind of mayfly hatch. There was an occasional rise here and there - nothing to key into then all of a sudden the temperature plummeted and the trout really got going. 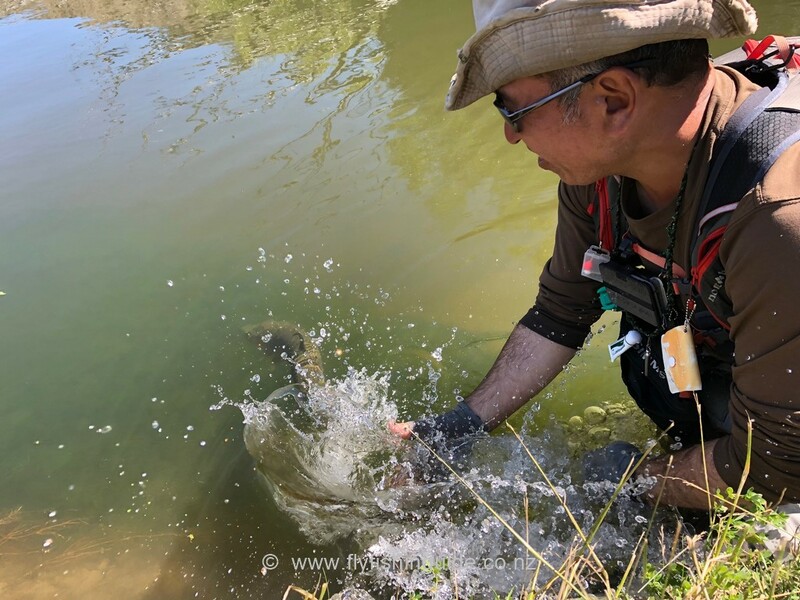 A very intense hatch which unfortunately lasted less then 10 minutes ensued - just enough time to bag two lovely emerger feeding brown trout. This month Kei, Thomas, Dan and Ben were among my guests. Kei is a real character. A very likeable chap, very keen to learn and great company. 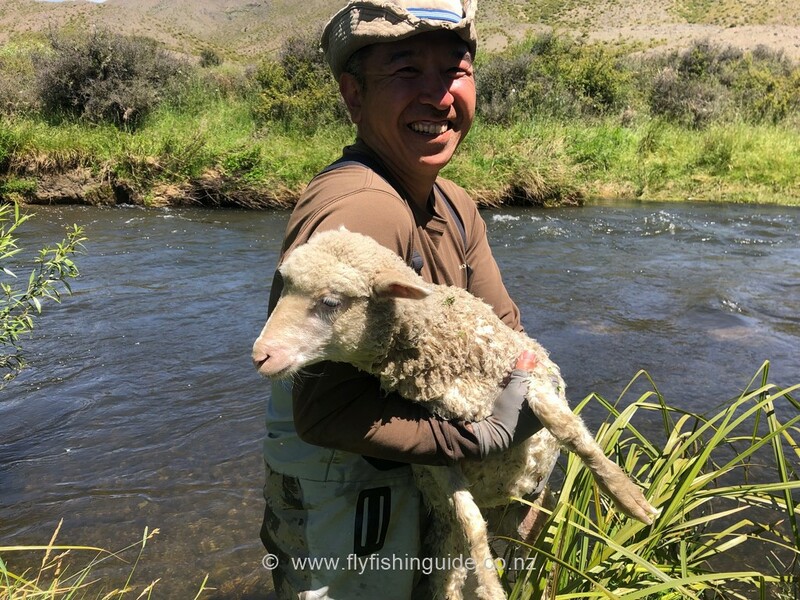 A highlight of our time out on the water was the rescue of a merino ewe lamb. 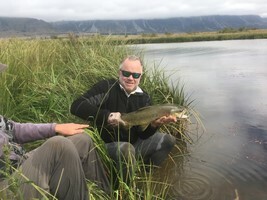 The lamb had dropped down the bank on the far side of the river for a drink at the edge of a very deep pool and just couldn't figure out how to get back up! eventually jumped in only to be swept downstream by the fast flowing current into the willow trees where she would have been trapped and drowned. That rescue was a "buzz" for us both - not an every day occurrence by any means and something to tell your mates about. We've got the photos to prove it! 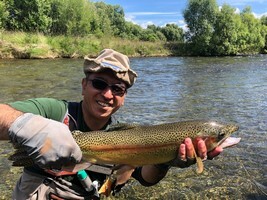 Beaut rainbow on the Twizel River. 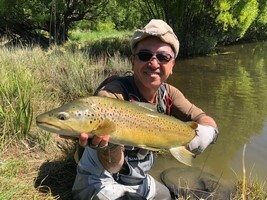 Dan scored this great brown trout on a one day trip. 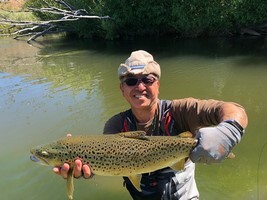 Kei with a lovely spotted brown trout. 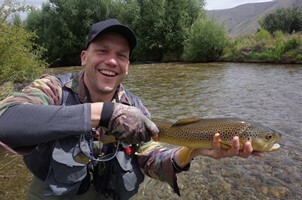 This trout has had enough of us!